No guarantees against political control over the European media Should the European Union step in for more regulation? No guarantees against political control over the European media Should the European Union step in for more regulation? Political ownership and hidden influence on the media in the EU is a largely unexplored topic, even though it poses serious threats on media freedom in some EU countries. Organizations such as Reporters without Borders (RSF), Committee to Protect the Journalists (CPJ) and Freedom House evaluate the conditions, under which the journalists work worldwide, but mostly focus on direct threats for their lives, imprisonment, legal persecutions, etc. Still, in some countries, including EU members, the political influence and control over the media takes more subtle forms such as hidden ownership and murky relations with owners and editors. This leads to a continious deterioration of the freedom of expression in countries such as Bulgaria, currently ranking in 106th place in the RSF Press Freedom Index. How are the risks of political influence related to the level of press freedom in the EU countries? Are the champions of free press in Europe immune to the risk of politicians taking over the independence of their media? We examined the indicators for political risk in 9 EU countries according to the Media Pluralism Monitor Survey for 2014, conducted by the Centre for Media Pluralism and Media Freedom, taking into account the position of the states in the RFS Press Freedom Ranking. How does political control threaten media freedom in Europe? The graph makes it clear that the troubled countries Italy, Greece, Hungary and Bulgaria, which occupy the bottom of the RSF ranking for the EU, experience higher levels of risk of political control according to the 5 key indicators. Hungary has been repeatedly criticized by the EU institutions and the international community for the Orban government’s oppressive policies towards the country’s public and private media. Therefore, it is not a surprise that the country demonstrates the most severe forms of political control among the analyzed cases. However, the data also shows that almost all the states, including the media freedom leaders such as Denmark and Estonia, have no or very weak regulatory safeguards against the excessive ownership and/or control of mainstream media by politicians. The independence of the news agencies and the public media, in terms of funding and ownership is also under medium to high risk in countries, which generally provide conditions free and independent journalism – Denmark, Estonia, Belgium. “The discussion on media freedom will go high on the agenda of the institutions, as not only media freedom is challenged, democracy is challenged.”, said Tanya Fajon, an S&D MEP from Slovenia at the opening of the European Youth Media Days 2015 in Brussels. Her worries have already been confirmed by RSF and CPJ, which both came up with special reports for 2015, criticizing Europe for losing its role of a safe haven for free media. 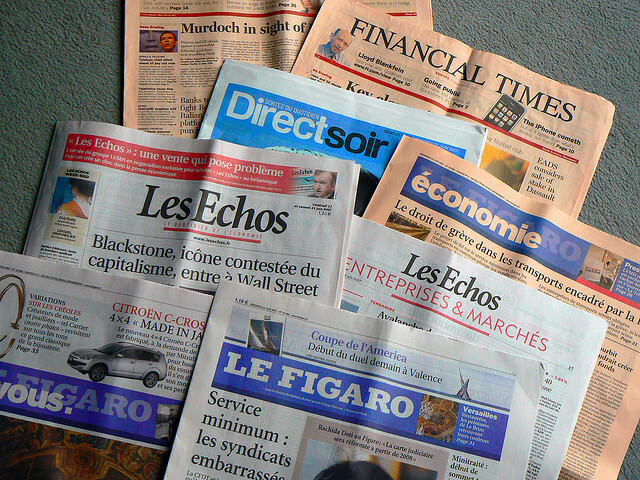 The experts note that despite the broad and complicated EU legal system, which includes numerous directives that affect the work of the journalists (such as the ones on public service broadcasting, the digital agenda, trade secrets, or framework decisions on racism and xenophobia), there are no clear legislative mechanisms to protect the media freedom and pluralism. Tanja Fajon admits to that, stating that “the EU does not have many tools to influence the media politics, but can monitor and alarm the authorities for violations”. But is monitoring and alarming the authorities enough? Cases like Hungary, Bulgaria, Italy and Greece, whose governments are regular objects of monitoring and critical recommendations by the EU institutions, prove it is not. According to Jean-Paul Marthoz, Committee to Protect Journalists’s EU correspondent, there should be an EU rule which makes it unquestionable that each state has to provide its citizens with a list of clear ownership identities for all media. In order to prevent the influence of the owners, regardless of whether they are politicians or magnates, the EU can introduce a common special status for journalists, based on EFJ’s Milan Declaration on Editorial Democracy in European Media. This will prevent the journalists from pressure from the inside and could cut the growing spread of self- censorship across Europe. Last, but not least, аn EU directive should strictly guarantee the independence of the broadcast regulators from the legislative power in every member state – a clear precondition for free media, which is currently not a fact in all the EU countries. “A directive can be bad or good, depends on what it contains. There are some directives that are absolutely favorable to more freedom.”, Jean-Paul Marthoz concludes.